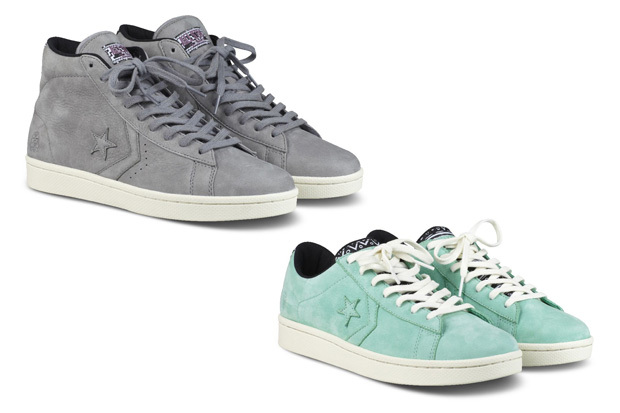 Footpatrol and Converse team up for this collaboration project which sees the expertise and knowledge of both sides combined, resulting in these two new distinct Pro Leather styles. 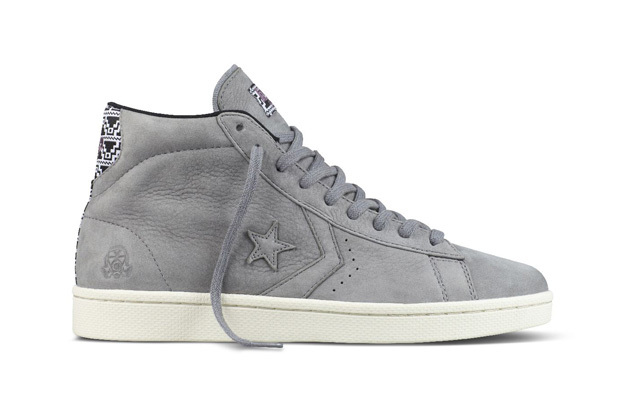 This collaboration is part of the Converse First String collection, which is a limited-edition collection that celebrates craftsmanship, authenticity and collaboration at the highest level. All three of those are more than evident here. 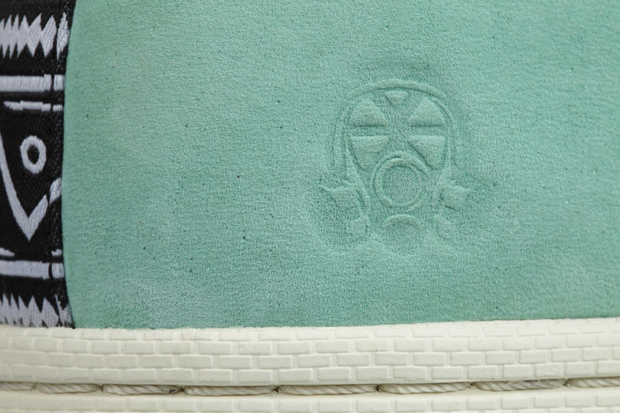 The Converse Pro Leather may look like it doesn’t belong on the basketball court today, but the design has been an influence and huge part of the evolution of modern basketball footwear. 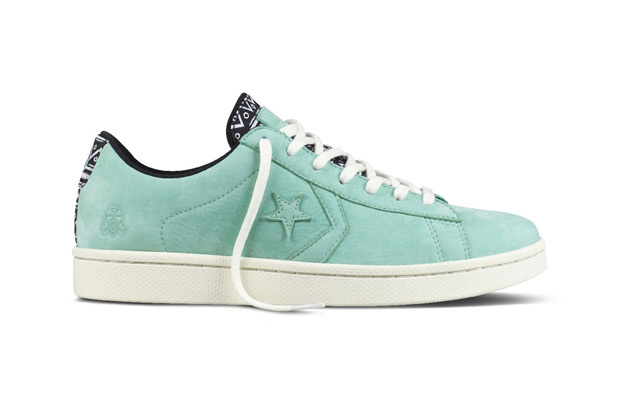 This iconic model gets a reworking by Foot Patrol and Converse, with a high and low-top version available. 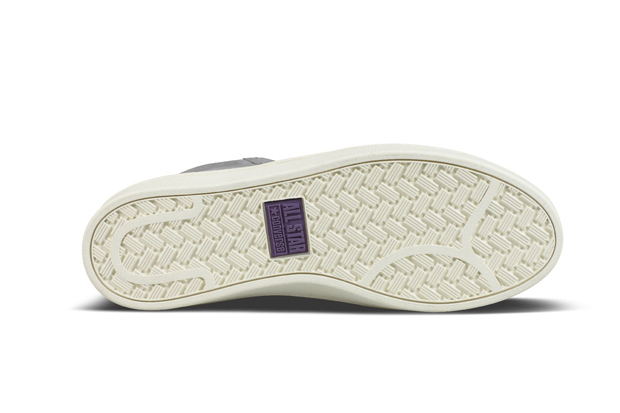 Both shoes pay homage to the history of the silhouette, but with a modern and fresh twist. 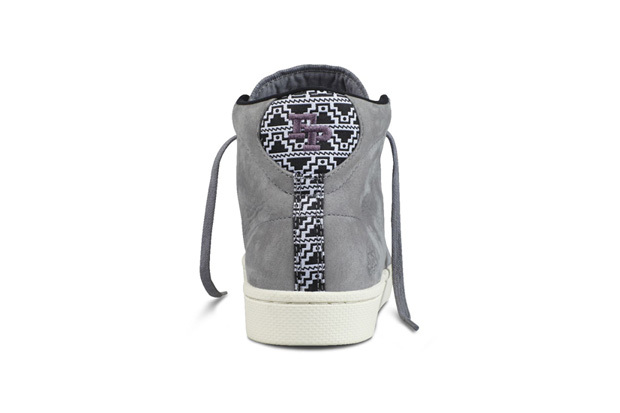 The superb craftsmanship of this collaborative project is evident throughout both make-ups, with the shoes featuring high quality modern nubuck leathers and pastel tones on the uppers, which are combined with patterned detailing. 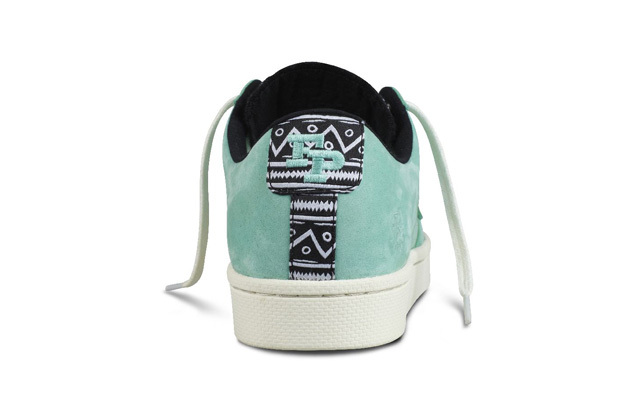 The grey high-top model features a woven jacquard material which accents the upper on the tongue and heel, with an Aztec inspired pattern utilised on the tongue and heel of the spearmint green upper on the low-top version. 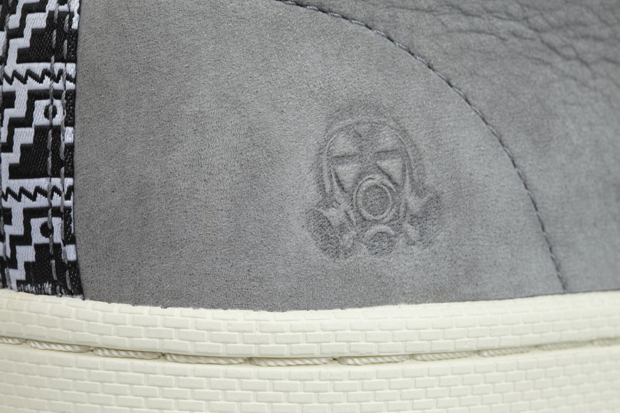 Footpatrol’s signature gasmask branding and ‘FP’ logo can be found subtly debossed on the heels of the shoes, and also screen printed on the shoe’s sock liner. 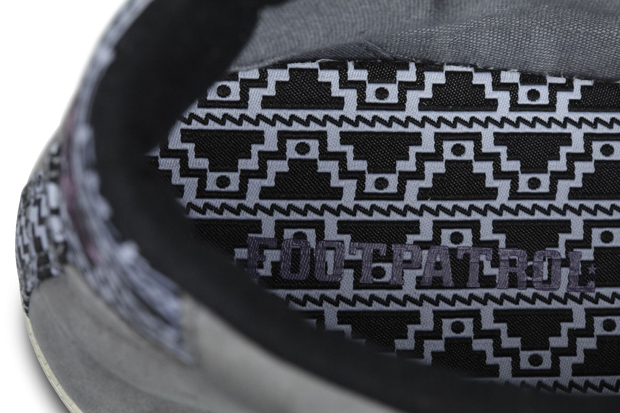 This is a fantastic collaboration, and another superb addition to both the Foot Patrol and Converse collaboration history. 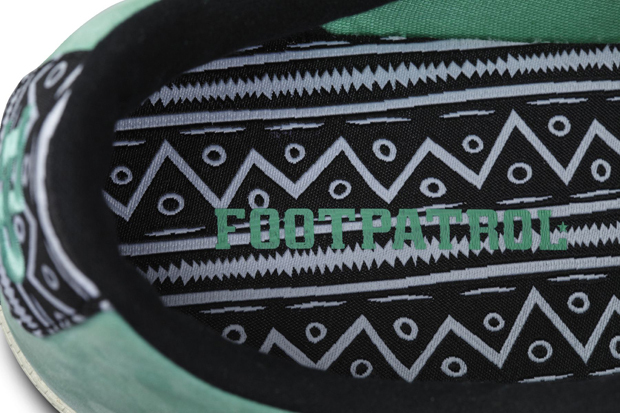 Look for these to drop this coming Friday June 29th, over at Footpatrol. Real nice twists on these. 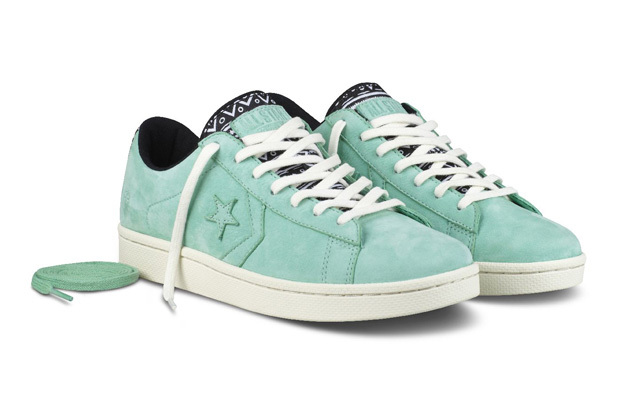 I thought I’d overdosed on Mint/Tiffany colour and Aztec/Navajo print recently but these look good, even if they are a bit late to those particular “trend” parties.